Everybody has the right to feel safe while they’re at work. When you’re getting on with your day-to-day job, the last thing you expect is to be injured because of your employer’s negligence. All employers are legally required to make sure the environment in which you work is as safe as possible. As part of this, they should provide you with the training and safety equipment you need for your role. They should also carry out regular risk assessments and take steps to avoid accidents from happening. If you’ve suffered from a work injury which was somebody else’s fault, then you shouldn’t be left to deal with the financial and emotional consequences on your own. You could make a work injury claim so that you can get compensation to cover the costs of your accident, and the effect it’s had on your social and family life. To find out whether you could claim, you can speak to our advisors for free on 0800 234 6438. Accidents can happen in almost any industry – from office workers, to lorry drivers, to police officers – so, unfortunately, while you may feel safe in your workplace, there’s always some risk of an injury. But some jobs carry more risk than others, which is why there are laws and procedures in place which are specifically designed to help keep people safe while they’re at work. If you’ve suffered an accident at work because your employer hasn’t followed these regulations, then it’s likely we can help you make a claim. Does claiming put your job at risk? Making a claim against your employer can be daunting, but there are laws in place to protect you from being unfairly dismissed or treated differently, such as the Employment Rights Act 1996. Quite simply, it’s illegal for you to be fired or disciplined for making a claim against the company you work for. But in the unlikely event that you do lose your job, you’ll be able to take legal action against your employer. By making a claim for an accident at work, you might also reduce the chances of one of your colleagues being injured in the same way, as it’s likely your employer will make safety changes to avoid the same thing happening again. Will my employer be left out-of-pocket? You might be worried that you’ll put your employer under financial pressure because of your claim – but that’s not true. All businesses should have “liability insurance”, which covers them if an employee is injured while at work. This means your compensation will be paid by their insurance company, not by your employer personally. This also means that you may still be able to make a claim if the company which caused your injury no longer exists – so long as the insurance company can be tracked down, then you can still make your claim. DID YOU KNOW: In a survey carried out by claims.co.uk, 45% of people said they would worry about their job if making a claim against their employer. Every workplace, in every industry, should have a procedure in place for when somebody is injured – this protects both the employers and employees. This short video takes you through a basic introduction on claiming for compensation if you have been injured in an accident at your workplace. It’s likely you’ve had to take time off work after suffering from your injury. On top of everything else, this probably means you’ve received a reduced wage, or maybe even no pay at all. In some cases, you might have had to find a new job altogether because of your injuries, especially if your accident was particularly serious. For more information, you can speak to an advisors for free on 0800 234 6438, or fill out your details into one of our secure forms on this page. Will you get paid for being off sick? After you’ve suffered from an accident at work, it’s likely you’ll need to take some time off work while you recover. If you need more than four days off sick in a row after your work accident, you should be entitled to Statutory Sick Pay (£92.05 per week in January 2019) as a minimum. However, many employers are more generous than this and will pay more. It’s likely that your contract of employment will say what your entitlement is for sick pay – or your employer will be able to tell you if they use a sick pay scheme. If your employer is clearly liable for your injuries, they might agree to give you more sick pay, even if they don’t have to. Once you’re back at work, it’s quite likely you’ll still need to take time off work to go to medical appointments, physiotherapy sessions or other check-ups. Unfortunately, your employer doesn’t legally have to give you time off for these appointments. Most reasonable employers will let you leave work for check-ups or treatment if you ask – especially if your accident happened at work in the first place, but you might not be paid for it. There is an exception to this: if you fit the definition of ‘disabled’ under discrimination law, then you might have a legal right to paid time off for your medical appointments. If this is an issue, your solicitor will be able to help you. Because it can take a long time to recover after an injury, you might not be able to return to your normal job for a while – especially if your work involves physical labour, standing for long periods of time, or carrying files or boxes. If your injury is likely to stop you from being able to do your normal job, your employer might let you come back to work on ‘lighter duties’ to help with your recovery. This means they’ll find less physical roles for you to do, and will make allowances for the fact that you’re not as mobile as usual. It’s possible that you won’t receive your full pay while on lighter duties, but it can help to ease you back into work. Also, lost earnings while on light duties can form part of your overall compensation claim, so it’s possible you’ll be able to get the money back anyway. What if the accident was partly your fault? Although your employer has to take measures to make sure you’re safe while at work, you and your colleagues also have a responsibility to make sure you’re not putting yourselves or each other at risk of injury. In some cases, staff can be injured because of their own carelessness. But in other cases, an accident could be both the employee’s fault – and a result of the employer’s breach of health and safety rules. For example, if an employer has not provided full safety equipment to a worker operating a cutting machine, and that worker ignores clear safety signs and suffers a head injury or hand amputation, both could be held partly responsible for the injuries. If you’re partly at fault, you might still be able to make an injury claim, but the amount of compensation you receive will be lower to reflect the extent to which you were to blame. You have three years after your accident at work to start legal proceedings for injury compensation, otherwise you may be out of time under the Limitation Act 1980. However, if you’re claiming on behalf of someone who has a mental disability – for instance, your spouse was seriously injured in a work accident and has lost their mental capacity as a result – this three-year period doesn’t start to run until they’ve regained their mental capacity. Also, any person who was injured while under the age of 18 has until their 21st birthday to start their claim. Injury compensation claims following accidents at work can be very complicated, but our advisors and specialist solicitors will be able to do most of the work on your behalf. 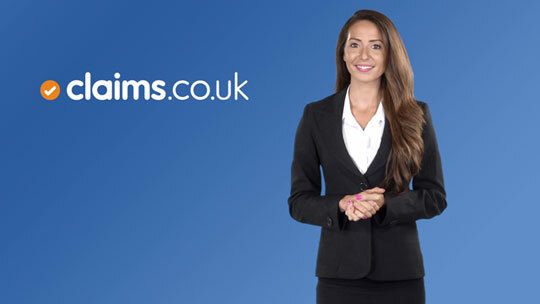 You can speak to us for free on 0800 234 6438 to start a claim. Our aim is to keep the process as simple and stress-free as possible – which means our solicitors will negotiate your compensation for you, leaving you with the time and space to focus on your recovery. But if possible, it can be helpful to collect as much information and evidence as you can to get your claim started. For example, keeping a diary of your recovery can be a good way to record how your injury has affected you and your loved ones. It’s also worth having details of your doctor and hospital noted so that your medical records can be released and shared with your solicitor. You should also provide a copy of any report following an investigation by the Health and Safety Executive if this is available. You might think about submitting a Subject Access Request (SAR) to get all the information your employer has about you, including about the accident or your occupation health. To find out how to do this, visit the Information Commissioner’s Office website, and also talk to your solicitor for further advice.